Industry-Specific Call Center Services | Phone Ware Inc.
As a business executive, you have many important decisions to make every day. One of the most important decisions you may be tasked with at some point is whether you should or shouldn’t outsource your call center. One reason some companies are reluctant to use a third party as their call center is that they’re worried the call center’s agents won’t have the industry-specific knowledge to inform and respond to their customers and prospects. 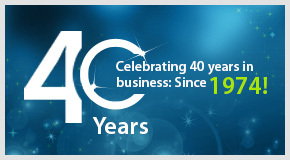 Founded in 1974, Phone Ware Inc. has served businesses in many industries as their trusted call center for decades. Just as we provide call center, email and live chat services in multiple languages, we also provide our services across industries. We have many Fortune 500 companies that use our services because they know our highly trained telemarketing sales representatives are intimately familiar with their specific industry. They also know our call center experts are knowledgeable about their company and the goods or services they sell. 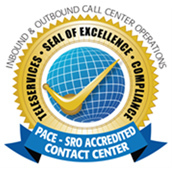 While we’re widely recognized as an inbound and outbound call center for solar companies, we act as a call center for organizations outside of the solar industry every day. Before we represent a company as its multilingual call center, we entrench ourselves in the organization’s industry. We also study the company’s product line, services, history and every other detail about the organization. When Phone Ware Inc. is your outsourced call center, you never have to worry about someone who’s not well-informed interacting with your clients or prospects. As we mentioned earlier, Phone Ware Inc. is well known as one of the top solar lead generation call centers in the United States. While we’re proud of our reputation as one of the nation’s leading solar industry call centers, the solar industry is far from the only industry in which we have the expertise and knowledge to serve an organization as its call center. Many auto dealers turn to us when they’re looking for a car dealership call center because of our vast experience with partnering with dealers. 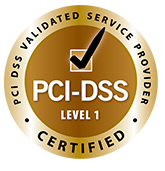 We also act as a call center for businesses competing in the health care, telecommunications, credit card services, travel and cable TV industries. We also serve organizations in other industries as their multilingual call center, too. When you employ Phone Ware Inc. as your call center services provider, you can customize your experience and provide better service to your clients and prospects. To learn about our industry-specific call center services, we encourage you to reach out to us. We’ll discuss your industry and business and talk about your call center needs. Based on the information you share and the specific call center services you need, we’ll create a no-obligation, personalized quote for your review. Contact Phone Ware Call Centers to see why we’re the right call center for your industry as well as your business today.